The project GFT avenue (by Merten Nefs, Janneska Spoelman and Lucia Dossin) was nominated in the multi-disciplinary design competition Designing with Flows (Ontwerpen met Stromen). 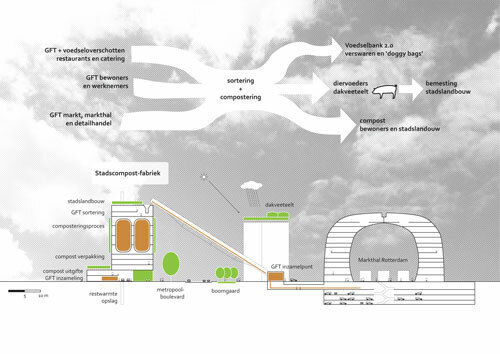 GFT-avenue proposes to increase local recycling of food and other organic material near centres of consumption in central Rotterdam, hereby cutting transport kilometres and stimulating urban agriculture. The competition is organized by the Dutch Architect’s Association (BNA) and the International Architecture Biennale of Rotterdam, where the three nominee projects will be displayed. The winner will be anounced in June 2014, during the Biennale, which carries the theme Urban by Nature. 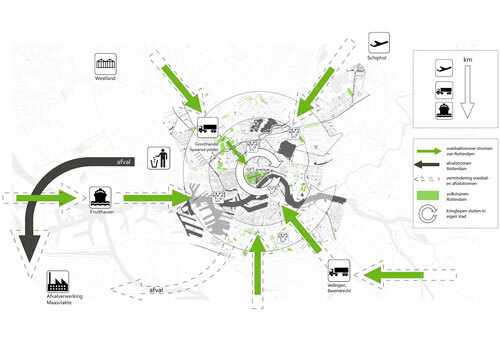 This entry was posted in Architecture, English, Incubators, Maps, Merten Nefs, Urbanism, Wastelands by Merten. Bookmark the permalink.